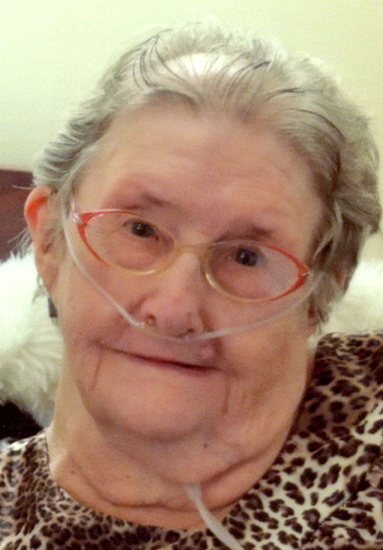 Mildred L. Starkey, 94, of Logansport, passed away surrounded by her family on Wednesday August 15, 2018 in Memorial Hospital, Logansport, IN. Born June 7, 1924 in Logansport she was the daughter to George J. and Emma Faye (Reynolds) Weaver. On July 7, 1944 she married James M. Starkey Sr. who preceded in death May 31, 1997. Surviving is one daughter-in-law, Karen Starkey, Logansport; two nieces, Peggy (Bill) Hayden, Logansport; Jean (Robert) Ridenour, Monticello; two nephews, Mike (Janice) Camp, Monticello, IN; Mark (Teresa) Camp, Logansport; and one grandson, Tracy Starkey, Logansport; and several great grandchildren. Preceding in death is one son, one daughter, three brothers and three sisters. A Celebration of Life will be held at 1:00pm Saturday August 18, 2018 in Gundrum Funeral Home with Pastor Ryan Lewellen Officiating. Burial will be private in Davis Cemetery. Visitation will be from 11:00am until the time of the services Saturday in Gundrum Funeral Home. Memorials may be made to the Cass County Humane Society. The Starkey family has entrusted Gundrum Funeral Home and Crematory with arrangements.